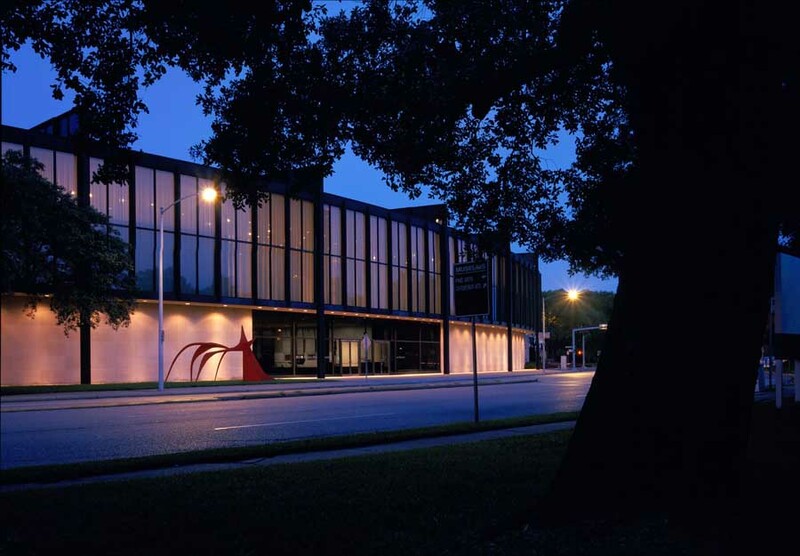 The Buddy Holly Hall of Performing Arts and Sciences is not a single-tenant, single-purpose facility. The stakeholders are diverse, including Ballet Lubbock, the Lubbock Symphony Orchestra, the local school district, two universities, and a Broadway promoter. The facility will accommodate large touring musicals as well as intimate dance performances. 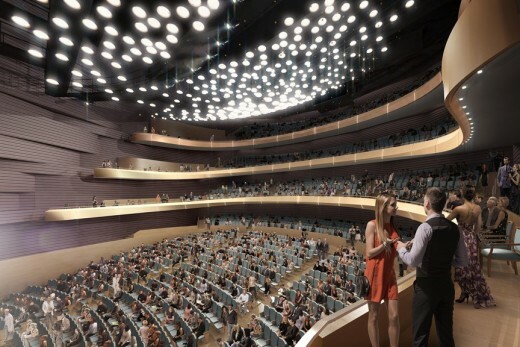 It will facilitate education, banquets and be acoustically flexible to adapt to any musical genre. There are two significant design challenges. The first is the extreme climate in West Texas, which ranges from snow and ice, to dust storms, to floods to tornadoes. 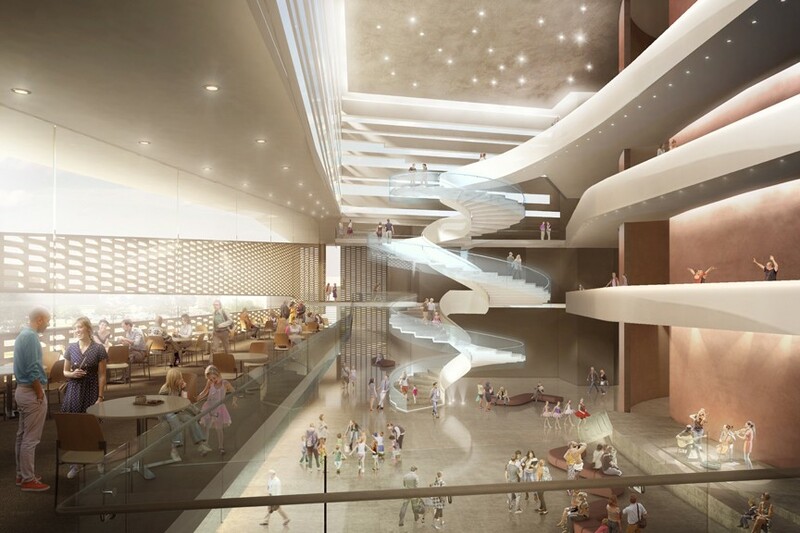 Secondly, the acoustics of the room need to work for unamplified classical and band music, but also for amplified pop music or Broadway musicals. Both of these challenges point to finding a relaxed formality – a complex that feels right either in jeans and boots or in suits and gowns. The project is presently in the early design phase. This world-class venue’s design is the result of over six months of collaboration between local and international development team partners Garﬁeld Public/Private, LLC, Parkhill, Smith, & Cooper, MWM Architects, Diamond Schmitt Architects, Hugo Reed & Associates, Jaffe Holden Acoustics, Schuler Shook, and Lee Lewis Construction. 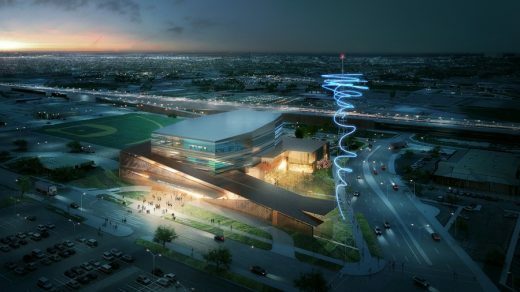 “Our vision for this facility is that it’s perfectly at home on the global stage of performing arts centers, that it can compete with the best in the world, but that it’s inspired by and in the spirit of Lubbock, West Texas, and the South Plains,” said Matthew Lella, principal at Diamond Schmitt Architects. Highlighted amenities of this hybrid performance venue include a 2,220-seat main theater, 425-seat studio theater, 6,000 sq. ft. multi-purpose room, and a bistro cafe.